The Focused on the Magic (almost) Wordless Wednesday blog hop theme this week is ‘E’, so we’re hopping along with Eating and Entertainment! Inspired by my Twitter friend @Kelmour’s question this week, “Any thoughts on the luau at the poly?”, I thought I’d answer for others as well. 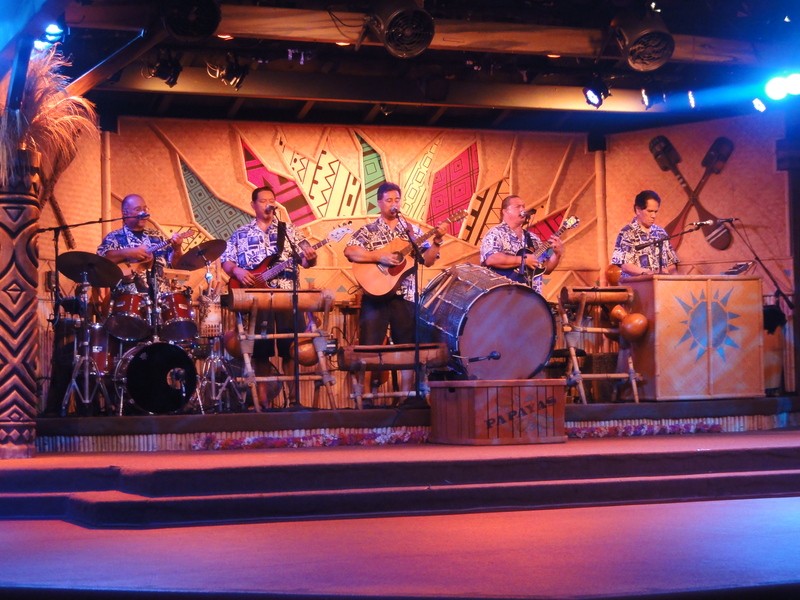 The “Spirit of Aloha” dinner show at the Polynesian is the show that inspired me to designate 2 Mice as “Worth a visit for the theme or show, but maybe you should eat elsewhere.” If you’re looking for delicious food, look elsewhere. If you’re looking for a fun show and great atmosphere, then head to the luau!! We had wonderful seats and really enjoyed the show. 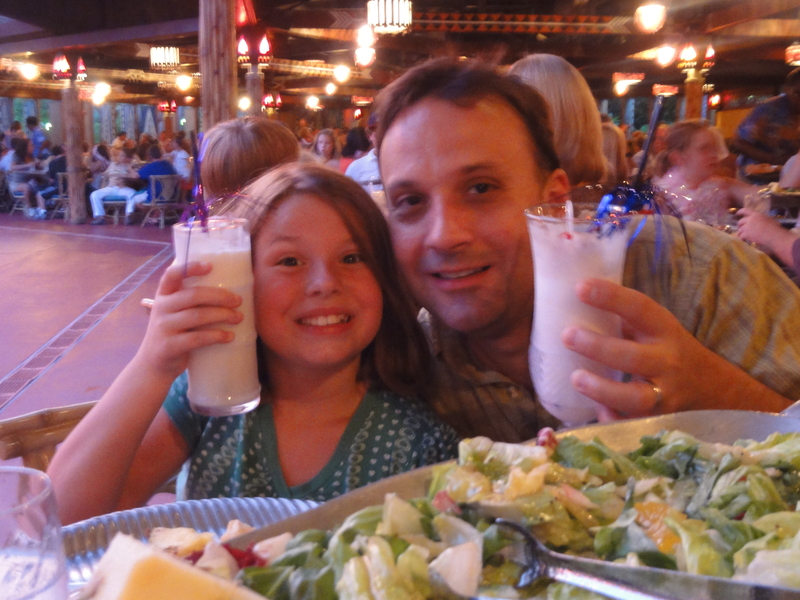 The drinks were just OK, but definitely better than the wilted salad and mediocre BBQ. We LOVED the pineapple coconut bread, and could have eaten that all night. The good news is that you can use your Disney Dining Plan for the show. So rather than a bunch of food pics, I’ll show you the fun instead. Feel free to link up below! Love the pickin’ fun photos! 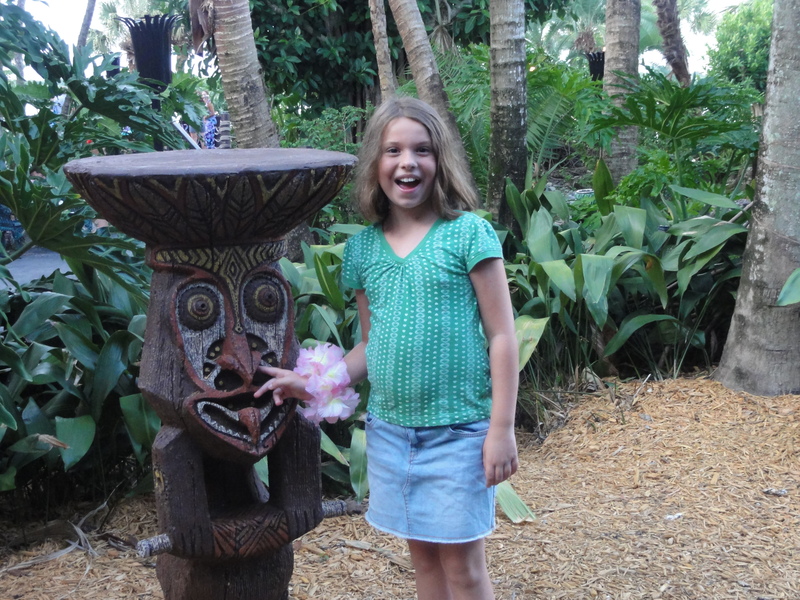 I went to the luau when I was a kid and hardly remember it. One day we may take the kids, but not sure how my husband would do as a vegetarian. I know Disney is great with that, but that is a very specific menu there. Little scared where the theme was headed. LOL Never did the luau, but it’s high on the list. Drinks do look yummy! I had a video of the fire jugglers, but can’t find it on my old computer! The show really is fantastic, the comedy is hokey and charming, and the hula dancers are lovely. I really do recommend it. Unfortunately, I don’t think there is a vegetarian option. The menu is fixed – salad, pineapple, bread, grilled chicken, BBQ ribs, Polynesian rice, grilled veggies, and volcano dessert. It is all you care to eat, so if you’re happy with salad, rice, bread, and veggies you’re all set. They do have peanut butter and jelly available upon request, so I guess that’s some protein in a pinch, but I’m sure not what you’d hope as an adult vegetarian. Or you can just drink rum drinks and eat that delicious pineapple coconut bread. Mmmmmm…. 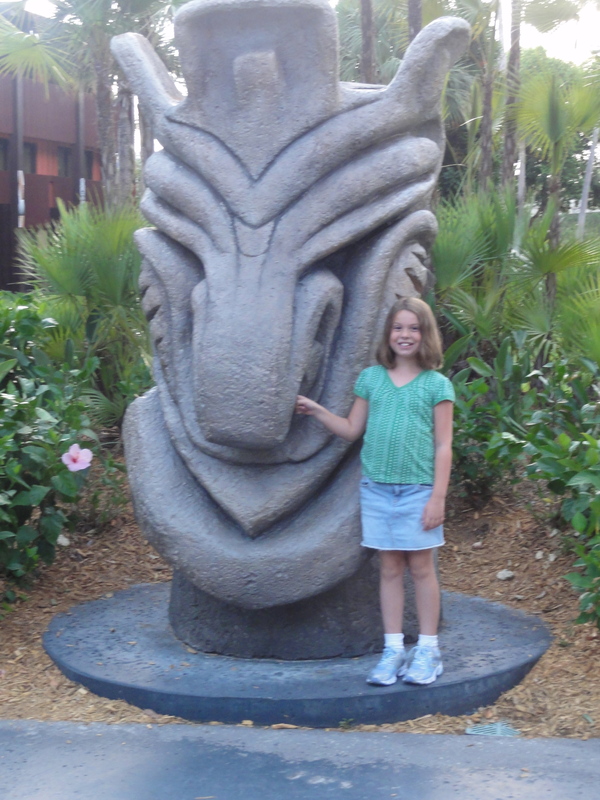 Why do kids always want to pick the tiki’s nose?! I think it is universal. 🙂 Thanks for bringing back some great memories of the Poly! Fun shots! Love the Poly, we will be home in early Dec!! Can’t wait. Great shots! I really want to try out the luau sometime soon. Cheers indeed! I love the angle and composition in particular of that last shot. A keeper! We attended the luau about 6 or 7 years ago. My 8yo doesn’t remember it at all of course. Going to have to get back there. Thanks for sharing the fun!! Nice pics! We love the Aloha Dinner show and that bread is yummy!! !